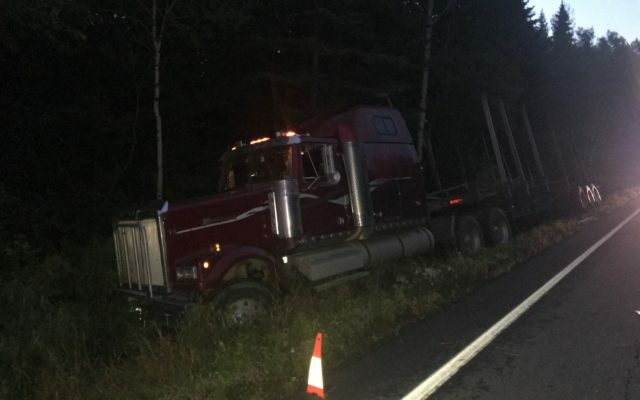 Maine State Police responded to two separate crashes in Oxbow and Masardis on Thursday evening, Aug. 23, one involving a tractor trailer from outside the region and the other an Ashland resident. 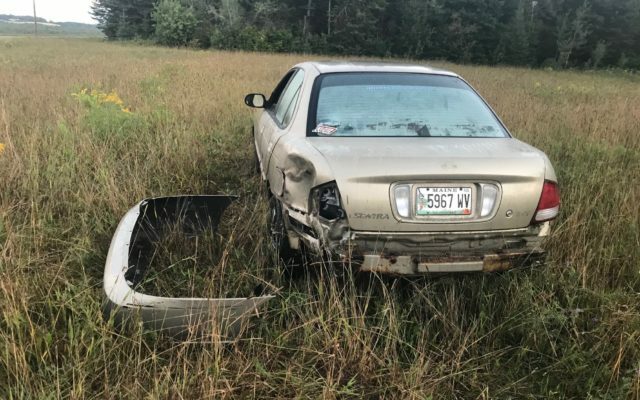 OXBOW and MASARDIS, Maine — Maine State Police responded to two separate crashes in Oxbow and Masardis on Thursday evening, Aug. 23, one involving a tractor trailer from outside the region and the other an Ashland resident. At approximately 3:41 a.m. on Thursday, state police received notification that a tractor trailer logging truck had gone off the roadway on Route 11 just south of the Oxbow Road in Oxbow. Corporal Dennis Quint responded shortly afterwards. Scott McKissick, 46, of Weston, Maine, stated he had been driving since 11 a.m. the previous day and fell asleep at the wheel, according to Quint. McKissick’s truck went off the right side of the road, causing him to crash into the ditch. McKissick had not been wearing his seatbelt and his head struck the right side of the windshield, causing the windshield to break. Emergency medical services transported him to The Aroostook Medical Center for non-life-threatening injuries. A Presque Isle towing company towed the truck, which is owned by the Brookton, Maine-based company Wanna Bee Trucking. Police issued Wanna Bee Trucking a traffic summons for having four defective tires on the truck. While investigating the crash in Oxbow, Quint learned of another unrelated accident that had occured in Masardis. Eighteen-year-old Hunter Glenna of Ashland was driving her 2002 Nissan Sedan on Route 11 just north of Masardis when she allegedly swerved onto the opposite lane to avoid a head-on collision with a tractor trailer that had driven into her lane. Quint’s investigation found that the tractor trailer struck the left rear side of Glenna’s vehicle, causing her to go off the right side of the roadway into a field, while the truck continued driving. Glenna had been wearing her seatbelt and received no injuries in the crash. An Ashland-based towing company towed her vehicle. State police are calling the Masardis crash a hit-and-run. The case remains under investigation.